The light bars of the Mirage Series range in size from 12” to 48” varying in the number of 4-LED modules. 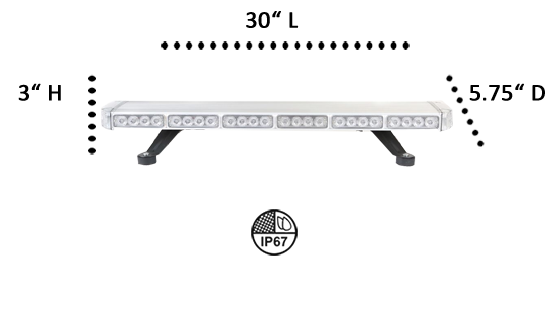 The 30” light bar has 12 modules with 4 Generation IV 3-Watt LEDs/module, 6 in the front and 6 in the back of the unit. There are also 3 LEDs at each end bringing the totals up to 162 watts of brilliantly intense light that produces a 360° light spread. The 30” Mirage Mini does not come with mounting magnets as the smaller versions do; it is permanently installed with the included gutter mounts. It’s aerodynamic design and low profile reduces drag, for it stands just 3” high allowing airflow over and under the 1.8” light bar. It has high-impact, shatterproof polycarbonate TIR lenses. The sturdy aluminum housing is sealed with high-tech epoxy making it 100% waterproof. It’s powered by a cigarette lighter plug-in that has ON/OFF and Flash Pattern control switches which is quick and easy to install and always at arm’s length, and comes with a 12’ power cord. 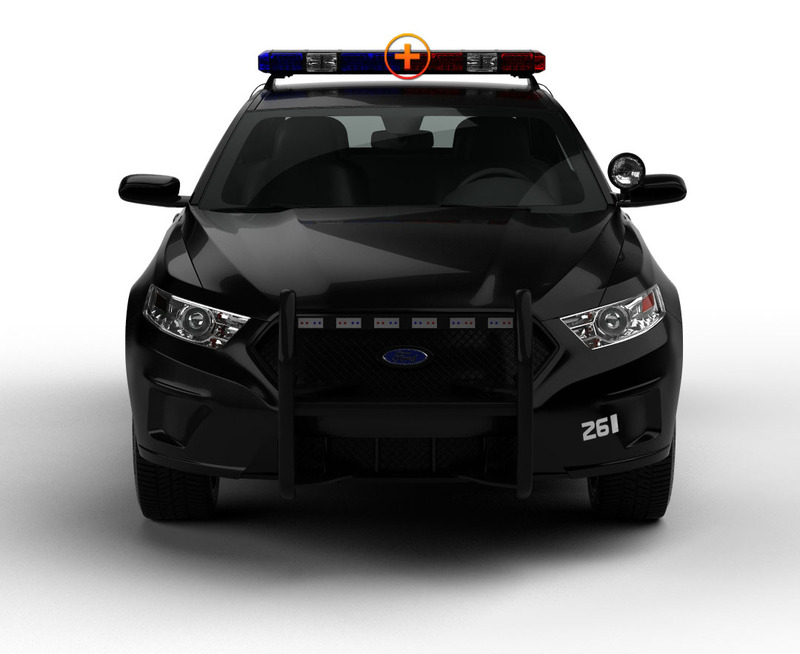 It runs on 12V and has low amperage, but it can also be hardwired to an existing light or siren system. It has 15 flash patterns and pattern memory. You select the color that best suits you from 3 solid color or 4 split-color combinations. The 30” Mirage Mini is an exceptional, multi-purpose light bar that works as hard as you do! Whether it’s cautioning motorists to slow down, or to stay alert with its 15 flash patterns, it’s the perfect sidekick that won’t let you down. Stay Safe and Stay Seen with the high-performance 30” Mirage Mini Light Bar. Extreme Tactical Dynamics always gives you Superior Lights at Affordable Prices! Very pleased with my Mirage 30 mini lightbar, it's extremely bright, even during the day, would highly recommend this lightbar to anyone looking for a good light at a good price.